The Graduate Management Global Connection (GMGC) has announced the result for NMAT 2018. The exam conducting body releases the windows-wise NMAT 2018 Result at least 15-20 days after the test is conducted. The candidates are notified on email once the scorecard is available and then they can download the score card by logging into your NMAT by GMAC account. The final percentile rankings for this year will be calculated after all the candidates have taken their exam(s) and will be announced and updated in the scorecard on the Third week of January 2018. The score for NMAT 2018 is not only accepted in India but also in the other countries as well as like South Africa, the and Philippines. There are about 26 Participating management institutes in India which accepts NMAT 2018 score. 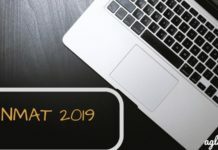 Check complete details on NMAT 2018 from this page. Latest: The final result of NMAT 2018 has been announced, check the same through the “Result” page. The candidates who want to appear for the NMAT 2018 session can able to check the details of NMAT 2018. Exam such as important dates, exam pattern, application form filling, admit card, result. The first step towards applying is registration which will take place from July 2018 till October 2018. Candidates will have to visit the official website at nmat.org.in Any candidate with a passion to pursue a career in business and possessing the management skills can apply to this program. GMAC has activated an account which covers exam registration process, exam scheduling, admit card, score card, NMAT study material etc. 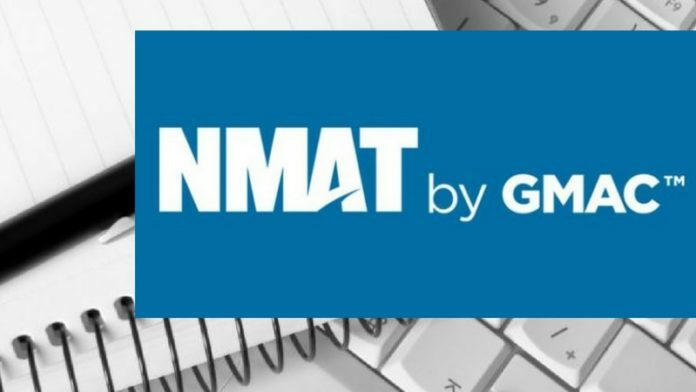 GMAC has announced the window-wise result for NMAT 2018 on the official website at nmat.org.in The result will show you your scores obtained in individual sections an overall. You will be intimated through the medium of email. The candidates will be able to access their result by entering their Email Id and password. The candidates will login into their NMAT account. After evaluating the final percentile, the score will be sent to the selected schools. The scorecard will consist the Final score including a scaled score section wise. The total score of NMAT 2018 Result will also be displayed as the percentile ranking. Which universities accept NMAT Score? related information please visit www.nmat.org.in. 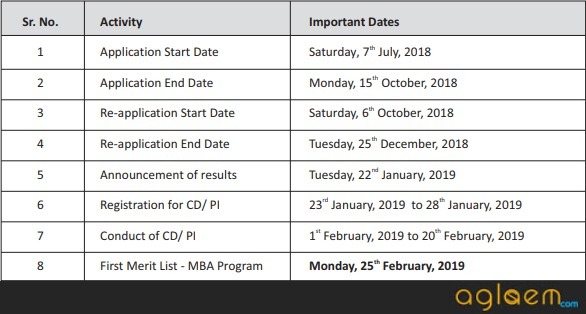 NMAT by GMAC test is a mandatory test for applying to the following NMIMS University programmes viz MBA, MBA Human Resource, MBA Analytic, and Decision Science, MBA Pharmaceutical Management, PGDM Bengaluru, PGDM Hyderabad, PGDM Navi Mumbai, PGDM Indore. For more information about the test, please visit www.nmat.org.in. Candidates can click here to register themselves. Click here for registration by candidates. For NMIMS MBA & MBA(HR) – a bachelor’s degree in any discipline with at least 50% marks from a recognised institution. Candidates who complete their education from correspondence, distance, part-time may not be allowed to apply. For NMIMS MBA (Pharmaceutical Management)- 50% in an undergraduate degree in Pharmacy, Life Sciences, Science, Medical doctors MBBS, BHMS, BDS, BAMS, B.Sc and M.Sc in Biotechnology. Candidates obtaining Postgraduate degree in Economics, Psychology and Sociology can also apply. Candidates with B.Tech & B.E in Bio-Tech & Bio-Medical are also eligible to apply. Registration will be done in online mode at nmat.org.in by clicking “Register Now”. apart from the official website, Aglasem team will give you the access through a link to complete the application formalities as well. You will be required to enter some personal details, contact details, address details etc. Next step involves uploading documents in the required spaces. Post filling the details, you shall create your own user id and choose a strong password for re-logging the candidate login account whenever you wish. Once, you fill the particulars of an application form, you must pay the required sum of money. Amount is acceptable through any credit/debit/master card or in offline mode. 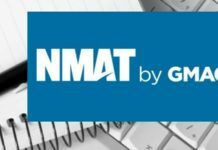 NMAT 2018 admit card will be issued post-registration to the candidates. You should have your credential details such as email ID and Password ready to obtain NMAT 2018 Admit card. You will observe your Registration number, exam centre, course selected, time of reporting etc. You may have to undergo verification procedure, therefore, carry a copy and original valid photo id proof along the hall ticket. Question paper consists topics covering 3 sections: Language Skills, Quantitative Skills and Logical Reasoning. From Language Skills Portion, possible number of questions asked may lie somewhere around 32 to be completed in 22 minutes ideally. Then, from Quantitative Skills portion, candidates get around 27-48 questions to be completed in 60 minutes. And finally, from LR section, you may get 40 questions and to complete this section, you should spend 38 minutes ideally. The time allotted to each section must not exceed. The automatic timer shuts the page when time is up. The examinee will not be able to return to the previous section, if the clock stops. Therefore, you are advised to utilize the time ideally.